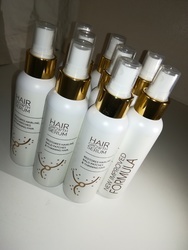 Hair Growth Serum R150 a bottle (125 ml) . Our product is FREE from harmful chemicals. We deliver for only R50 anywhere in South Africa.